One of the funnier comedians to fall into obscurity since his Vegas and Johnny Carson heydays is Pete Barbutti. Barbutti was a seriously adept jazz musician and very funny stand-up comic. His regular appearances on Johnny Carson were legendary and Barbutti's website features a plethora of Tonight Show appearances from the seventies and eighties in full to view here. Eventually Pete started to fade away from showbiz life and entered the lucrative world of regional Canadian television where he hosted a cooking program called Celebrity Microwaves (seriously). 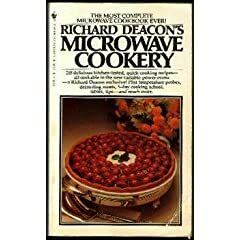 The title pretty much says it all (comic actor Richard Deacon also jumped on the Microwave cooking bandwagon in the eighties, penning a cookbook for Microwave delicacies). This 1966 Decca LP places Pete Barbutti at the height of his career. It is sharp, funny and eccentric, and one of those instances when the comedian is certainly "playing to the band" except in this instance, Pete Barbutti was from the band. Listen to the whole LP here. Did it get better? I deleted it from the GE podcast after the first five minutes of ultra-stale "Where are you from?" jokes. It was utterly painful. Extremely funny in that "didn't see it coming" way. Produced Pete's Place. The late Pete Barbutti is the warmest, funniest man on the flat side of the earth. He's not dead, he just hasn't contacted me in 30 years.